Leyton Sixth Form College hosted a 50-year reunion for former grammar school students. The building now used for the sixth form college used to be home to Leyton County High School for Boys, a grammar school for 11 to 18-year-olds. 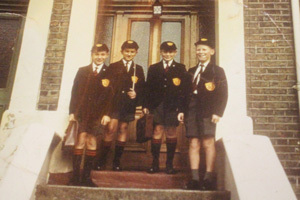 It became Leyton Senior High School for Boys in 1968, catering for 14 to 18-year-old boys, and a sixth form college in 1993. Former students who started at the grammar school in 1963 attended the reunion.